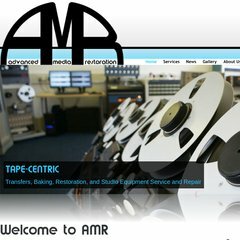 Topics: Pay Us, Services, Analogue Tape Transfers, Digital Tape Transfers, Digital Audio Restoration, and Remote Analogization. The site is programmed for PHP/5.2.17. It is hosted by Uk2 Customer (England, London,) using Apache/2 web server. ns1.pcmend.net, and ns2.pcmend.net are its DNS Nameservers. PING www. (77.92.68.150) 56(84) bytes of data. A ping speed test response, is timed at 97.2 ms.